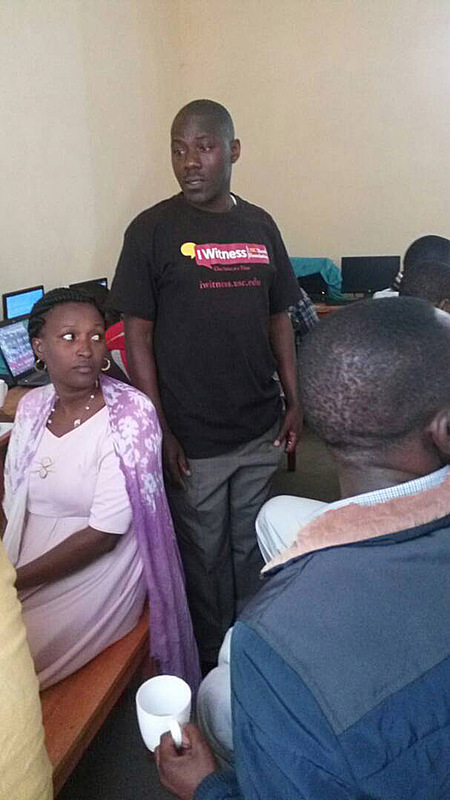 Two teachers who have been trained by USC Shoah Foundation on how to use IWitness passed on their knowledge to their colleagues at Saint-Vincent Muhoza Secondary School in Musanze, Rwanda, on May 1. 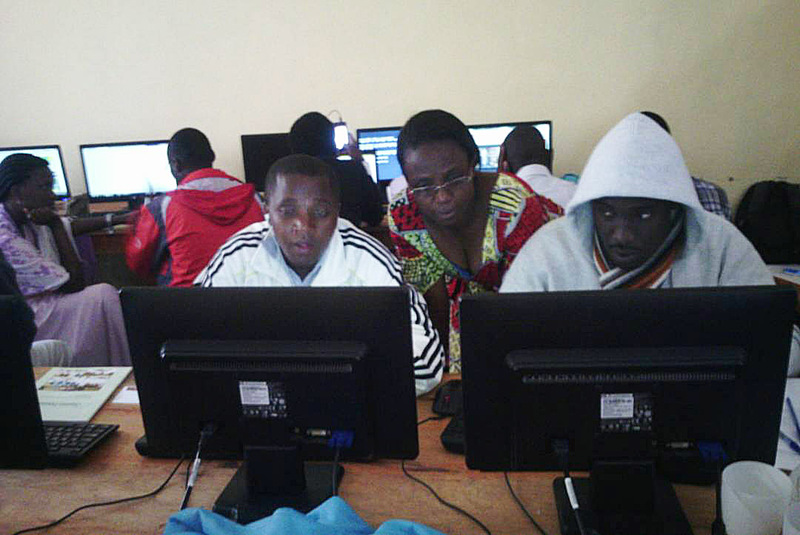 Marthe Twizeyimana and Philippe Samvura both completed IWitness training workshops in the past and are now two of nine total “IWitness ambassadors” in Rwanda, dedicated to introducing other educators to IWitness. IWitness includes dozens of testimony clips of Rwandan genocide survivors as well as multimedia activities about the 1994 Genocide Against the Tutsi in Rwanda. Teachers have reported that these resources are ideal for helping them teach about the difficult subject of genocide. 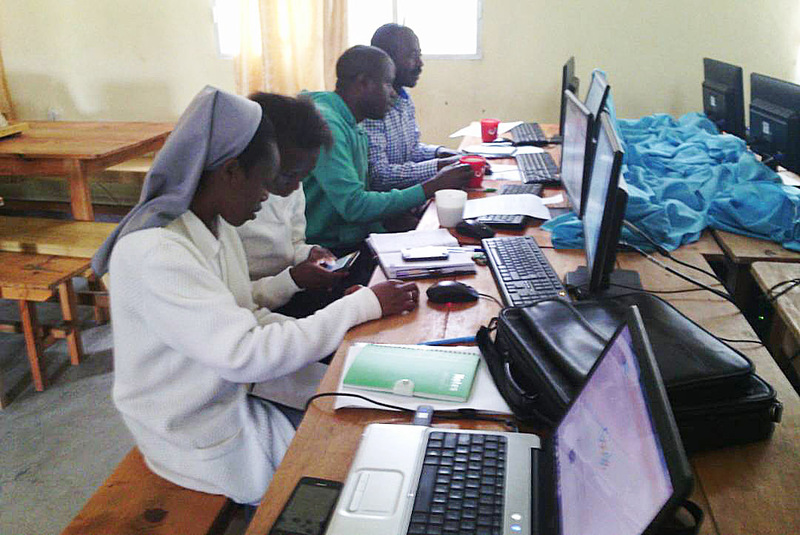 Twizeyimana and Samvura organized a workshop for their colleagues at Saint-Vincent Muhoza Secondary School that was attended by a total of 21 participants, both teachers and administrative staff. After giving them background information on the origin, the purpose and the goals of IWitness, Twizeyimana and Samvura showed the participants how to use the educational platform to teach about genocide. Some participants registered on the site as teachers, others as students, in order to begin exploring IWitness’s activities, testimony clips and search functions. Despite network challenges, the trainers reported that all participants showed great interest in IWitness and acquired knowledge on how to introduce highly sensitive subjects such as the 1994 Genocide against the Tutsi in Rwanda to their students. 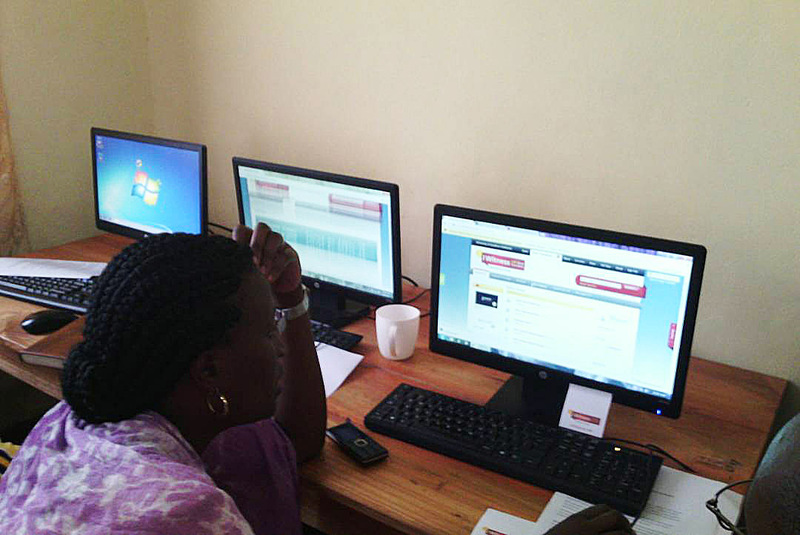 The trainees were very enthusiastic to discover new multimedia resources to use in their classrooms. In an innovative effort to access the website, some of the participants even used their smartphones. As a result of the success of the workshop, Twizeyimana and Samvura are planning to conduct additional trainings and encourage trained teachers to use IWitness with their students. Twizeyimana and Samvura were trained on IWitness as part of the Rwanda Peace Education Program (RPEP), a multifaceted program from 2013-2016 to bring peace education to Rwandan society and schools. 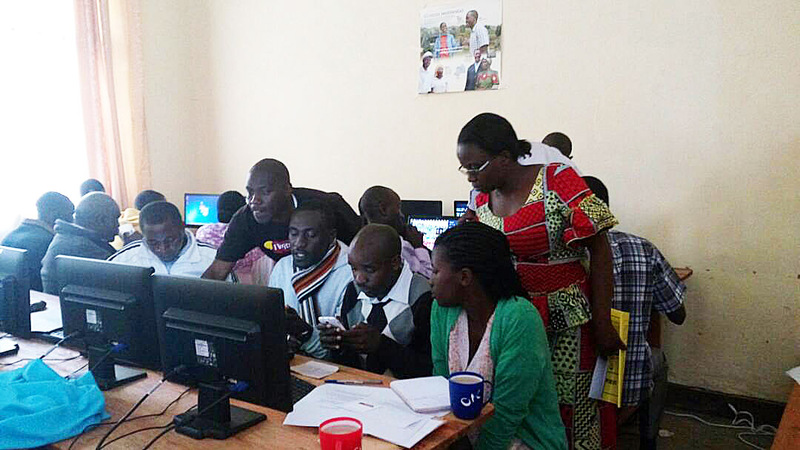 USC Shoah Foundation contributed to RPEP in the areas of teacher training on IWitness and capacity-strengthening for Aegis Trust archival staff to preserve testimony for historical and educational use in the Genocide Archive of Rwanda (GAR). The two teachers also built an IWitness activity which was published on IWitness as part of the 100 Days to Inspire Respect program. The activity Divided Classrooms: Discrimination and Division in Rwanda introduces students to the discrimination that happened in Rwandan schools and the importance of fighting discrimination in society. In testimony clips, Rwandan survivors describe taunting and harassment from their teachers and classmates that was so bad they had to leave school. Twizeyimana said she was inspired to create the activity from what she learned at the IWitness trainings. She hopes the activity inspires students to actively fight against the factors that lead to genocide. “The conclusion of our activity is given by our students whereby they are giving the solution of that discrimination by saying '' NEVER AGAIN'' and encouraging other youth to not forget what happened and fighting against the ideology of genocide,” Samvura said.